Do you have missing teeth or are your teeth broken beyond repair? If so, Dental Implants may be the perfect solution for you. 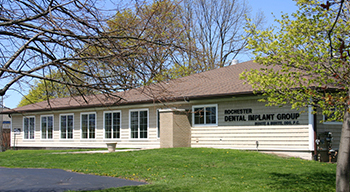 At Buhite & Buhite, DDS located in Irondequoit, NY and serving the Rochester, NY area, our dentists are leaders in implant dentistry with numerous years of experience in both practice and education. Dr. Buhite is the founder and director of the implant dentistry program at SUNY Buffalo and continues to serve on numerous boards and committees related to implant dentistry. 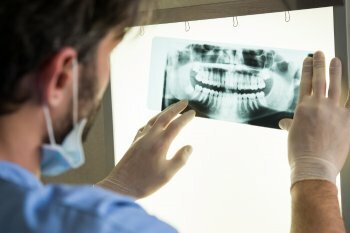 Our ongoing participation in education and training of other dentists allows us to remain current with the most innovative techniques used in the practice of implant dentistry. If you currently have dental implants and are in need of service, we have an on-site lab so that many repairs to your dental devices can be completed the same day. Dental Implants are titanium fixtures designed to support and replace one tooth or many teeth depending on a patient's needs. Just like natural teeth, dental implants are routinely examined and maintained. This ensures that the implant remains healthy, secure and as strong as, or even stronger than a real tooth. Learn more about dental implants and how they work. There are many benefits to consider when determining if Dental Implants are right for you. When properly cared for, dental implants often last much longer than traditional dental prostheses (such as crowns and bridgework), perhaps a lifetime. With Implant Dentistry, the replacements don't decay, fracture, or require the natural teeth supporting them to be cut down, and they actually stimulate bone growth and maintain oral health. This procedure is relatively simple and is effective in almost all cases, so there's no need to put off restoring that great smile. Read more about dental implants and find out if they are the right choice for you. Don't wait to restore your perfect smile. For more information on dental implants, or to schedule an appointment, please call 585-342-1323 or send us an email today.